Perfect Chair PC Laptop Computer Desk Table for the Perfect Zerogravity Chair by Human Touch - Computer Table, Laptop Table, Accessory table, extending footrest, wedge spanner table, Interactive Memory foam upgrade kit for the Zero Gravity Classic II ergonomic orthopedic recliner chair. The zero gravity position cradles your back and elevates your legs above your heart, which is the position that doctors recommend as the healthiest way to sit. 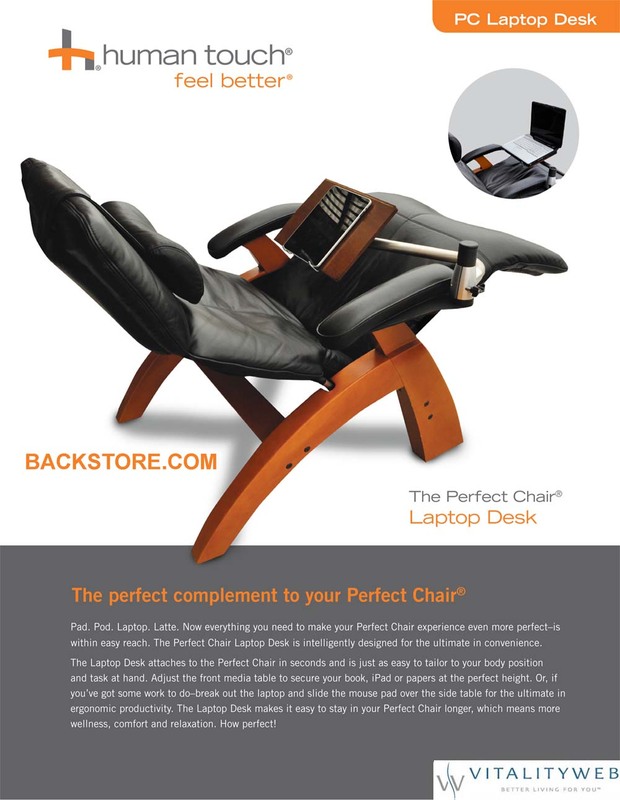 Perfect Chair� Laptop Desk Computer Table - The perfect complement to your Perfect Chair�. Pad. Pod. Laptop. 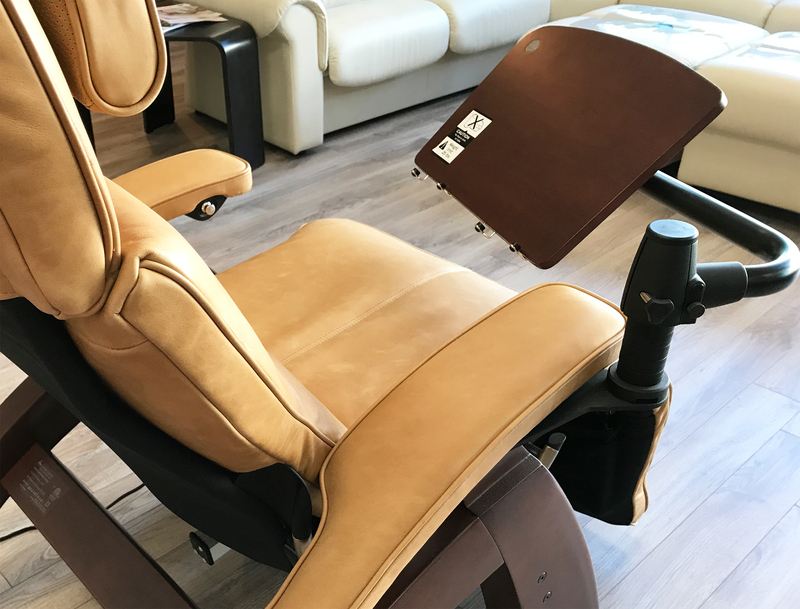 Now everything you need to make your Human Touch Perfect Chair� experience even more perfect is within easy reach. The Perfect Chair Laptop Computer Desk Table is intelligently designed for the ultimate in convenience. 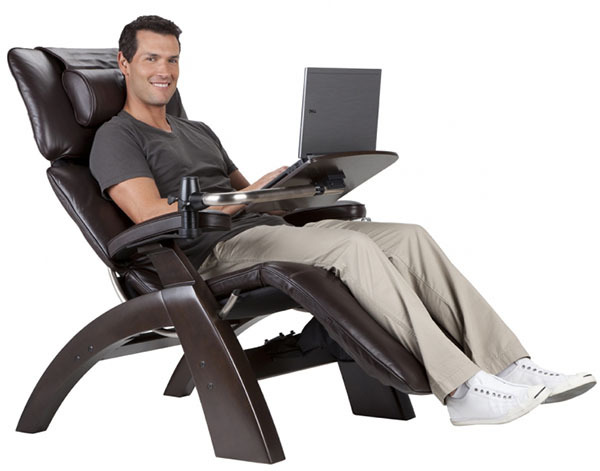 The Laptop Computer Desk Table attaches to the Perfect Chair� recliner in seconds and is just as easy to tailor to your body position and task at hand. Adjust the front media table to secure your book, iPad� or papers at the perfect height. 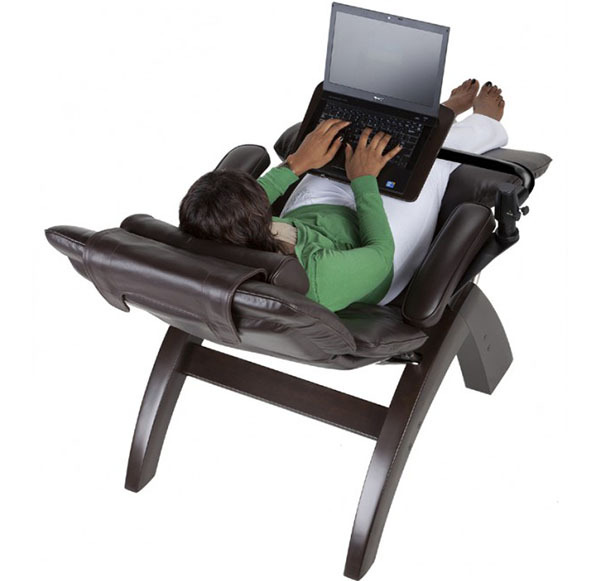 Or, if you�ve got some work to do, break out the laptop for the ultimate in ergonomic productivity. 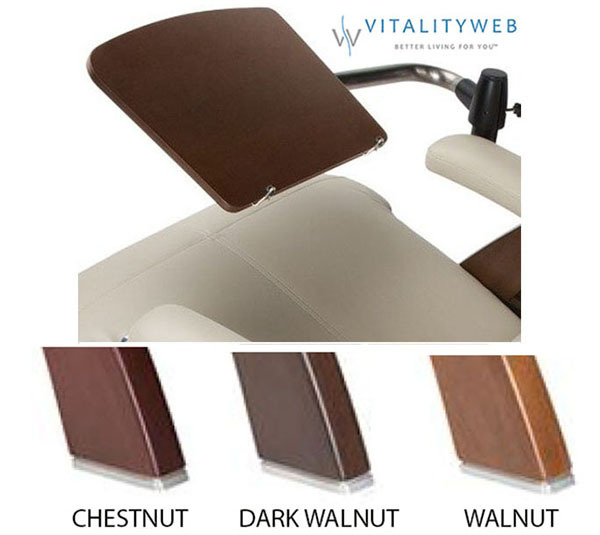 The Laptop Desk Computer Table makes it easy to stay in your Perfect Chair� longer, which means more wellness, comfort and relaxation. How perfect! 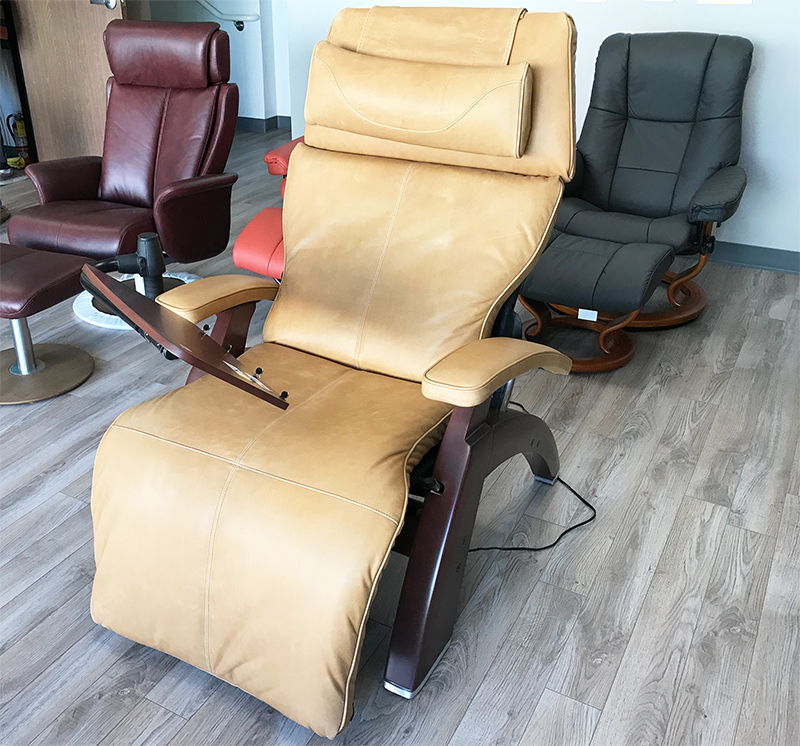 PLEASE NOTE: This accessory is only compatible with all wood-based Perfect Chairs (excluding the PC-300) and does not work with PC-085, PC-086, PCX-720, PC-8500 and other fully upholstered models. Table mounts to Right side only. Pad. Pod. Laptop. Latte. 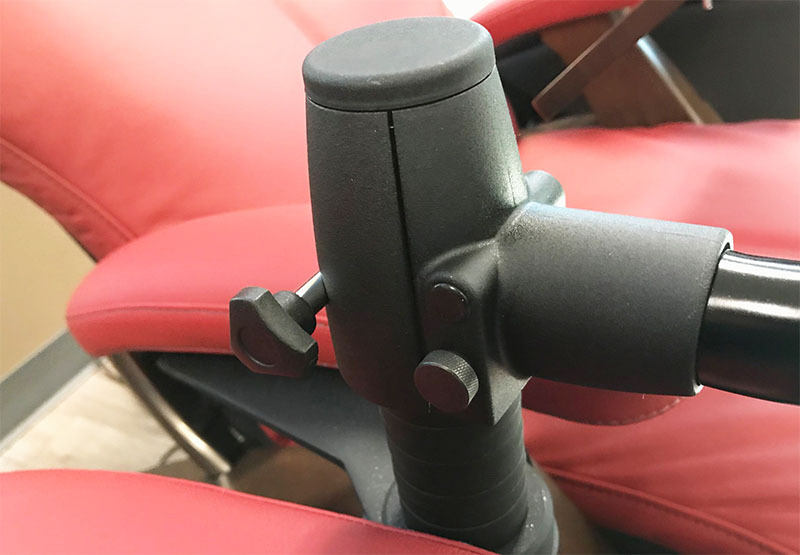 Now everything you need to make your Perfect Chair experience even more perfect is within easy reach. 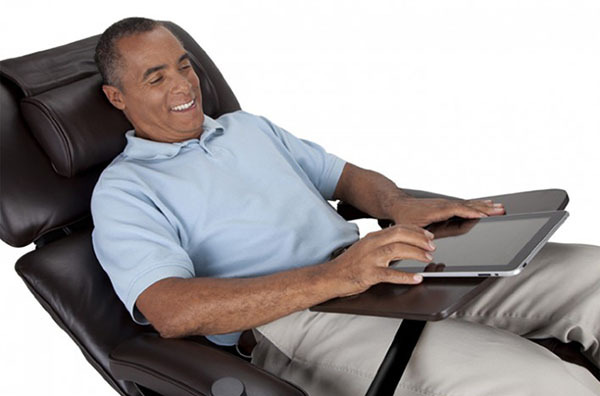 The Perfect Chair Laptop Desk is intelligently designed for the ultimate in convenience. 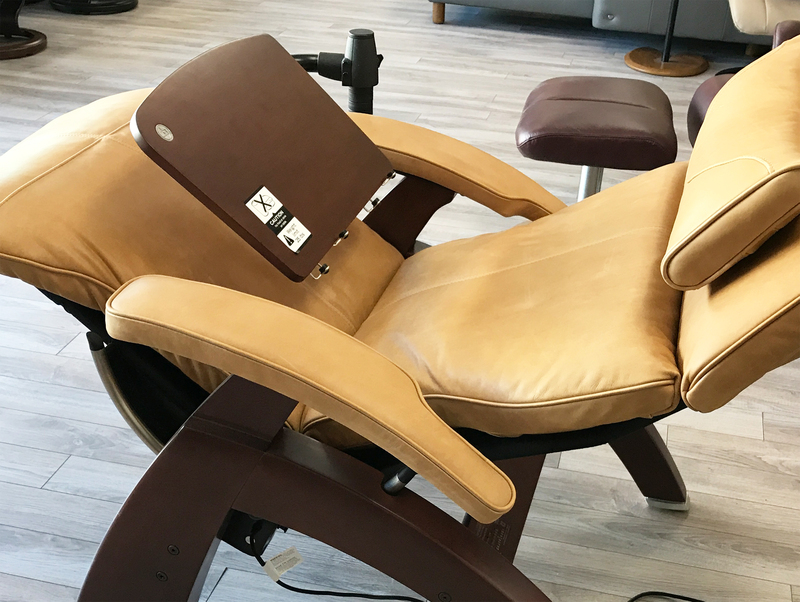 The Laptop Desk attaches to the Perfect Chair in seconds and is just as easy to tailor to your body position and task at hand. Adjust the front media table to secure your book, iPad or papers at the perfect height. Or, if you've got some work to do, break out the laptop and slide the mouse pad over the side table for the ultimate in ergonomic productivity. The Laptop Desk makes it easy to stay in your Perfect Chair longer, which means more wellness, comfort and relaxation. How Perfect! 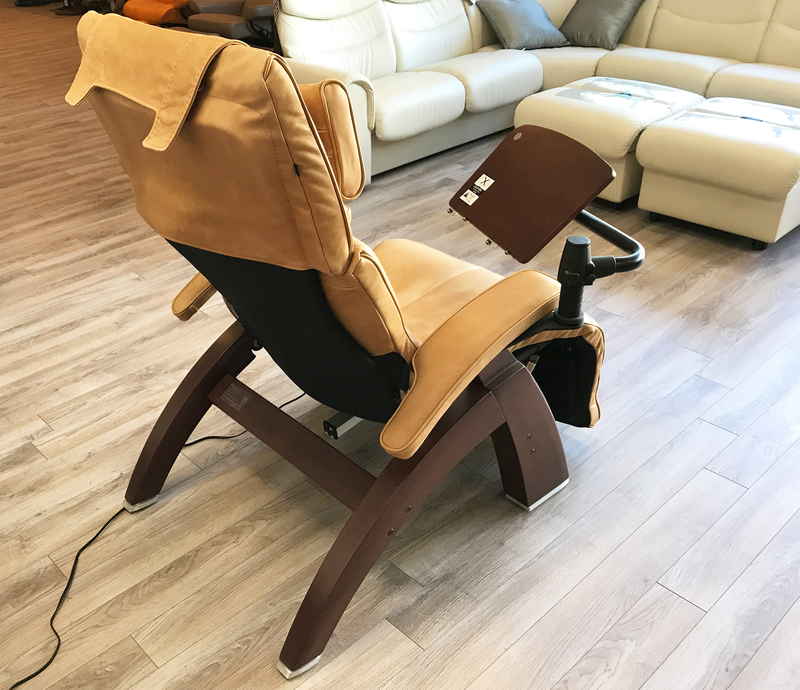 Works with the Wood Base PC-6, PC-075, PC-095, PC-410, PC-420, PC-500, PC-510, PC-600 and PC-610 Perfect Chairs. Does not work with the PC-050 or PC-300 Perfect Chairs. 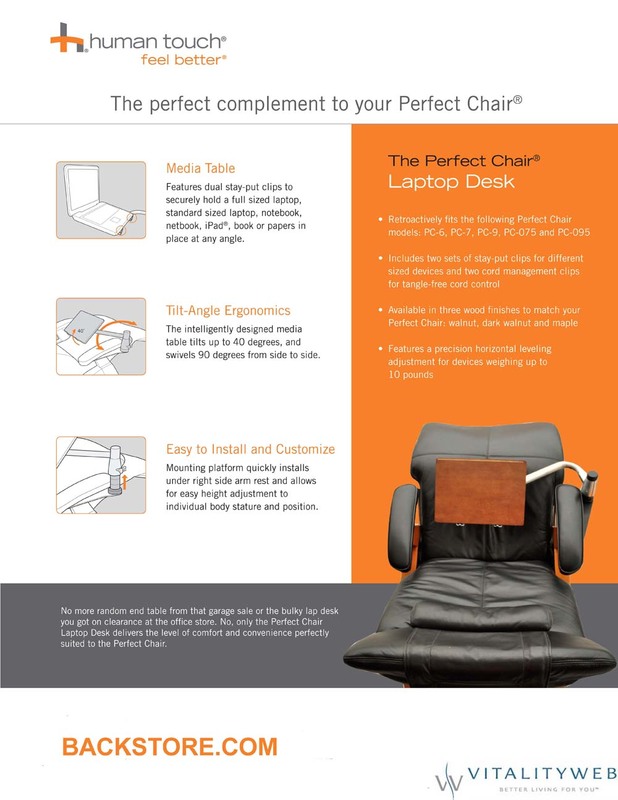 Perfect Chair Laptop Desk: - USA Ground Shipping Included! Shipping Box Dimensions Length 25" Width 19" Height 5"
Please make sure you put the smaller Leveling Screw in the lower hole. It will simply unscrew from the frame and the rubber plugs simply pull out.